Rich colours and textures provide and warm and comforting feel. This is a beautiful tribute to family and friends. Roses, sunflowers and delphiniums highlight this arrangement. Dimensions: Approximately 26″ high by 15″ wide. Sail the ocean blue with not a cloud in the sky for a beautiful day is not so far away! 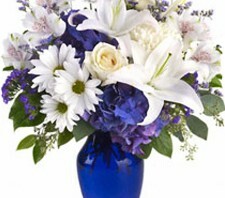 Cobalt blue and shimmering white blossoms come together like a fresh summer day at the beach with that special someone. Look Up in the Sky for the sun is shining down on that special someone for a thought of good fortune can make dreams come true! Touch their heart with a bit of radiant color and style. Let the colors of heaven shine upon them with just a subtle suggestion. The perfect garden of love and affections has arrived! Ring in the holiday season with friends and family in yuletide style and fresh beauty with The I'll Jingle to That Bouquet by Hallmark! Rich red roses, red mini carnations, white chrysanthemums, green button poms, variegated holly, and fragrant holiday greens are arranged to perfection to create a winning Christmas gift. Presented in a ceramic red vase with the sentiment, "I'll Jingle to That!" 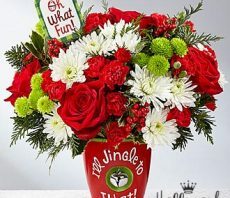 in white lettering on the front and a single jingle bell hanging at the center, this fresh flower bouquet is also accented with a hand lettered keepsake Hallmark tag that reads, "Oh What Fun!, inside reads, Jingly Christmas Wishes!" to create an unforgettable way to send your merriest wishes near and far this Christmas season. 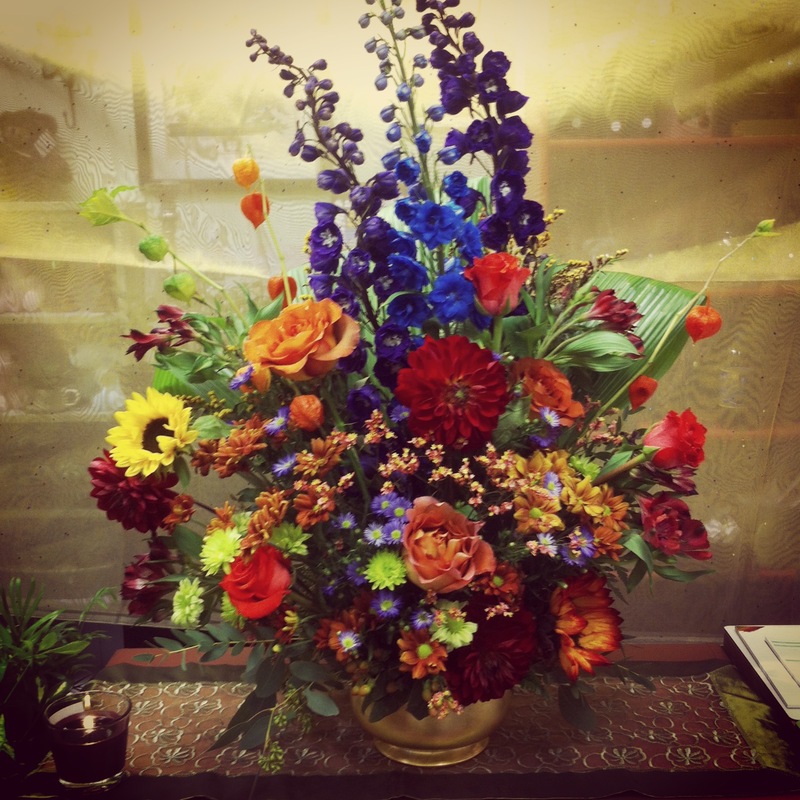 Small: bouquet is approx. 10"H x 11"W. Medium: bouquet is approx. 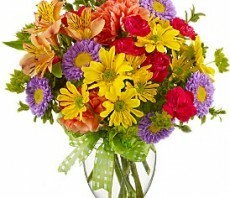 12"H x 12"W. Large: bouquet is approx. 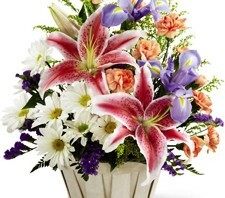 13"H x 15"W. EXQUISITE bouquet is approx. 14"H x 16"W. Your purchase includes a complimentary personalized gift message.